For additional information about this book, visit the website Thesalespro.com. 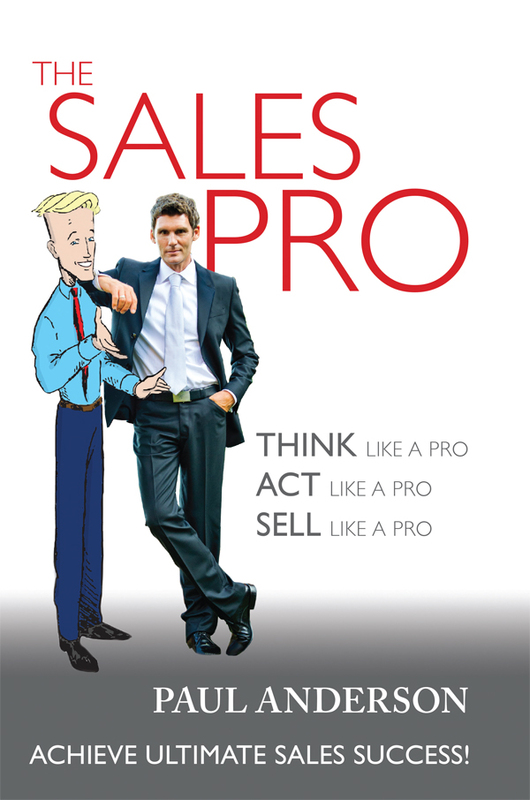 The Sales Pro: THINK Like a Pro, ACT Like a Pro, SELL Like a Pro is the first sales book of its kind to promote comprehension of selling techniques, skills and strategies by linking written content with fictional characters and cartoon stories. The Sales Pro combines information and entertainment to provide insightful analysis, pertinent examples and valuable exercises, while taking into account every angle of a buyer’s thought process. Written for anyone, with any level of experience, who seeks to gain an edge in the world of sales and marketing, The Sales Pro identifies and teaches powerful communication skills and streamlined strategies in their simplest forms. The book provides the necessary tools for anyone who is serious about becoming a professional salesperson to quickly achieve a level of performance equal to that of a pro–regardless of sales cycle, market or nature of the product or service being sold. Paul Anderson has more than 25 years of top-notch sales experience, a career that began when he sold his way into a position at a Fortune 100 corporation, even though he was below the minimum age requirement. The selling skills and techniques that Paul uses and teaches every day have earned him the top sales position with multiple companies that sell products and services in the business-to-business and business-to-consumer markets, and with sales cycles that are both long and short. Paul has earned over 20 sales awards, was nominated for worldwide salesperson of the year and has held a seat on the prestigious Sales Advisory Board. The Sales Pro Text Edition is his first book. He currently resides in San Diego with his wife and three children. Paul resides in San Diego, California, with his wife and three children.